﻿ Nippo Flange, SS Nipoflange, Stainless Steel Nippo Flange Exporter. Nipoflange Manufacturer, Stainless Steel Nippo Flange Exporter, Alloy Steel Nippo Flange, Hastelloy Nippo Flange Supplier In India. We are at Amco Metals, glad to say that we are holding numerous patrons around the world. They all are appreciating as well as using our product known as NIPPO FLANGES. 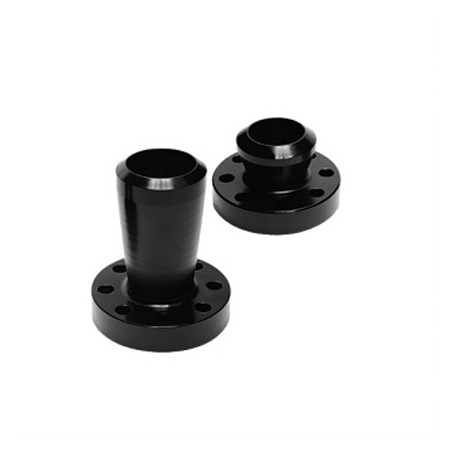 Yes, this type of flange is being used extensively to link up reinforced fittings together. Also, it takes place of vintage or traditional connecting ways. The whole structure of it is made in outstanding forgings. It is the blend of a welding neck flange and there are two elements are made in a single piece that is now welded. Such kind of flange is primarily in branch connections. Our experts use the high-grade stainless steel and other alloys to prepare this product. 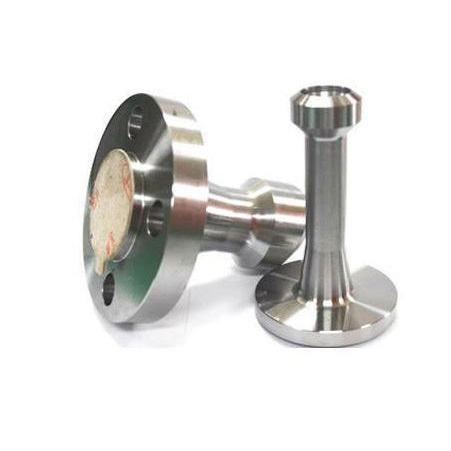 These SS NIPPO FLANGES are used in the wide array of applications such as seawater cooling tools, processing plants for acetic acids, oil refinery components, wires in electrostatic precipitators, paper, and pulp processing and so on. The size of it is generally from 1/8 to 4” and the pressure class is 3000, 9000 and 6000 LBS. The dimensions of it are ASME, ANSI, ASTM and other international quality standards. 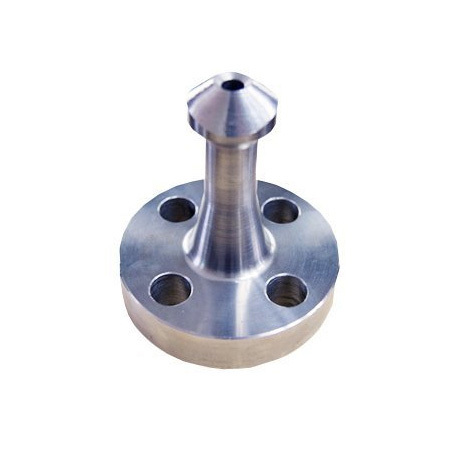 If you are interested in buying this product, then you can place order at our online company and specify your specifications, means what size and length of the nippo flange you need. It goes through several surface finishing treatments which make its structure attractive. It has a fine finish and high resistance to rust. It can be obtained in different grades, dimensions, and patterns from us. It is affordable to buy and use as well. SS Nippo Flanges, Steel Nippo Flange Manufacturer, Alloy Steel Nipo Flanges, SS Nipo Flanges Supplier In Worldwide. Oman, Netherlands, Puerto Rico, Vietnam, Poland, Angola, Japan, Greece, Czech Republic, Ireland, Ukraine, Norway, Kazakhstan, Slovakia, Bolivia, Singapore, Malaysia, Bahrain, Azerbaijan, Canada, Sweden, Afghanistan, Kenya, Sri Lanka, Iraq, Croatia, Spain, Peru, Gabon, Macau, Russia, Estonia, New Zealand, Venezuela, Italy, South Korea, Pakistan, Mongolia, Belarus, Mexico, Nepal, Switzerland, Tibet, Saudi Arabia, Ghana, Gambia, Lithuania, Bulgaria, Nigeria, Lebanon, Qatar, Poland, Ecuador, Namibia, Portugal, Philippines, Belgium, Austria, Turkey, India, Iran, Algeria, Nigeria, Chile, Zimbabwe, Indonesia, Trinidad & Tobago,Tunisia, Morocco, China, France, Libya, Argentina, Egypt, Taiwan, Chile, Bhutan, Jordan, United Kingdom, Hungary, Denmark, Colombia, Thailand, Hong Kong, Yemen, Brazil, Bangladesh, Israel, Serbia, Finland, Germany, Mexico, United States, Romania, Costa Rica, South Africa, Kuwait, United Arab Emirates, Australia, Iran. Mumbai, Cairo, Jakarta, Hanoi, Thane, Bangkok, Singapore, Melbourne, Edmonton, Baroda, Bengaluru, Kolkata, Calgary, Sharjah, Nashik, Montreal, Abu Dhabi, Rajkot, Port-of-Spain, Indore, Jaipur, Haryana, Busan, Perth, Jamshedpur, Ulsan, Moscow, New Delhi, Doha, Madrid, Al Jubail, Surat, Ho Chi Minh City, Chandigarh, Algiers, La Victoria, Al Khobar, Ahvaz, Lahore, Istanbul, Sydney, Hyderabad, Ernakulam, Seoul, Noida, Riyadh, Aberdeen, Milan, Ranchi, Brisbane, Tehran, Ahmedabad, Jeddah, Bogota, Santiago, Kanpur, Pune, Kuwait City, Navi Mumbai, Ludhiana, Coimbatore, Houston, Dammam, Mexico City, Los Angeles, New York, Kuala Lumpur, Toronto, Faridabad, Manama, Dubai, Pimpri-Chinchwad, Gimhae-si, London, Granada, Atyrau, Caracas, Gurgaon, Muscat, Lagos, Dallas, Howrah, Vadodara, Ankara, Bhopal, Geoje-si, Colombo, Chiyoda, Courbevoie, Nagpur, Chennai, Secunderabad, Karachi, Visakhapatnam, Petaling Jaya, Vung Tau, Rio de Janeiro, Hong Kong, Thiruvananthapuram.